You may think that vibration training is a new-fangled invention, but you’d be wrong! Vibration was first explored as a therapy for stimulating healing as far back as Ancient Greek times. And Kellogg (the brother of the Kellogg famous for our cereals) was the first modern-day health practitioner to have applied it in his health sanitoriums in the ’40s. Both these applications were predominantly for circulation increase. But in the late 1960s and ’70s East German and Russian sports scientists explored vertical vibration as a sports performance enhancing tool. Undetectable and entirely legal! Noticing the anabolic effects, the Russian cosmonaut program started using vibration to counter the bone and muscle loss experienced in space. The Power Plate brand also had it roots in sport performance, having been developed in the late 1990s by a Dutch Olympic coach. 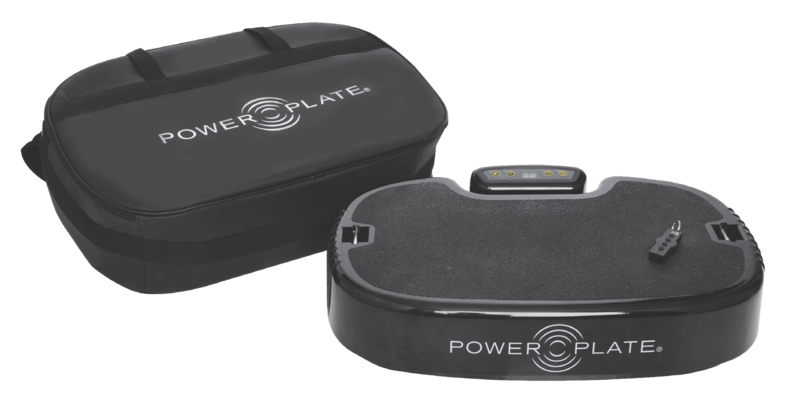 Power Plate quickly spread across the globe, attracting both elite sports followers and celebrity user fame, and attaining Medical Device Certification as a Class II medical device in the EU in 2009. To this day, NASA uses Power Plate for astronaut conditioning too. Not too behind the times, New Zealand first introduced Power Plate in 2004, and, in a case of “you have to try it to believe it”, has developed an avid following of users and fitness and health professionals who cannot imagine life without it. Pharmabiz was appointed as the New Zealand distributor in 2017 and, with a long history in the health and wellness industry, is committed to sharing the secret of just how good Power Plate can be for your health. You can use Power Plate at facilities across New Zealand (check our Locations) and we also have a growing network of Affiliate Partners, including physiotherapists, pharmacists and fitness professionals, who can demonstrate the equipment and help you with your purchase. But that doesn’t mean it’s rocket science! In simple terms, the three-dimensional movement destabilises the body and causes a rapid reflex contraction that has a cascade of positive effects on many systems in the body. Key to this response is how fast the Power Plate is moving – for most people the maximum muscle activation is achieved when the plate is moving at about 33-35 times per second. And this is a number you want to optimise because it’s all about more muscles, doing more things, more often. There is a point at which the rate of stimulus stops causing an increase in rate of contraction – so it’s not a matter of the faster the better. The second very important mechanical factor is the direction and type of movement. Power Plate does not rock. It does not shake you in a see-saw motion. Most times you can’t even see the person on it moving from the vibration. The movement of the Power Plate is gentle – between 1mm and 2mm – so no jerking, no jarring, no discomfort. And the whole plate moves in the same direction at the same time, mostly in a vertical direction (that is, up and down). A superior characteristic of Power Plate, however, is that it also moves subtly backwards and forwards, and side-to-side. This three-dimensional “tri-planar” movement is key to enhanced proprioceptive stimulus. Our bodies are designed to move and respond this way, and so Power Plate can be said to create an “authentic” environment to stimulate the body’s natural responses. The final thing we’ll talk about from a physics point of view is the harmonics. 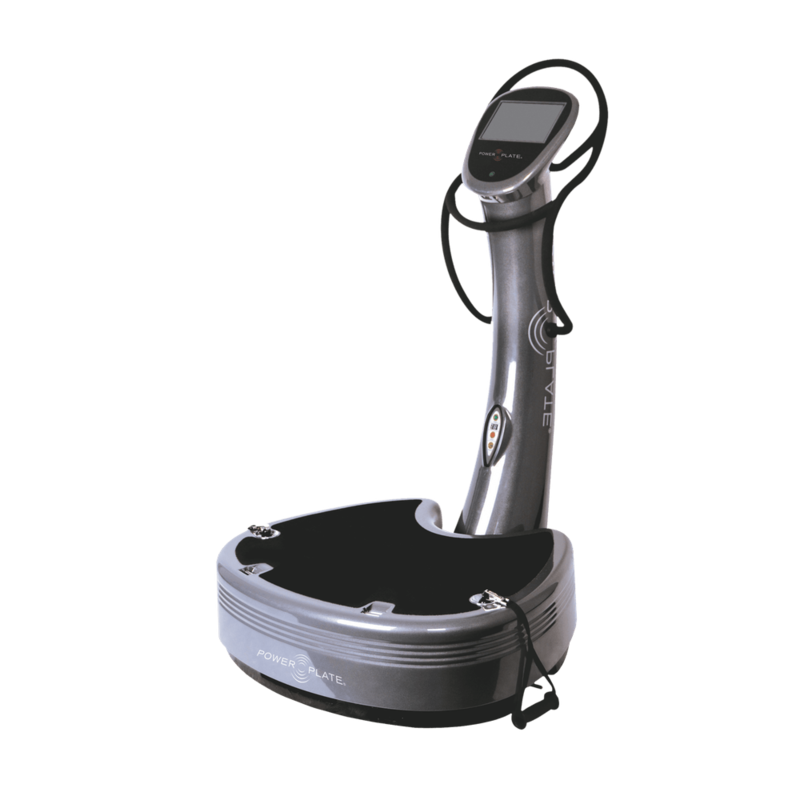 This is to do with the smoothness of the vibration, which, with Power Plate, is very consistent – even with people of different weights on the platform. The importance of smooth harmonic motion is that the body learns best when stimuli are repetitive and precise, so the neuromuscular system gets the most optimal stimulus. SO JUST WHAT CAN IT DO FOR ME? Training on Power Plate is good for your cardiovascular health and circulation. Arterial stiffness is reduced; blood is less viscous and flows more easily; blood pressure is reduced; and more blood flows to the skin. Also, over time, muscle mass and strength increase, which themselves lead to improved cardiovascular fitness. This means Power Plate training could be excellent for your health if you are diabetic, hypertensive, unfit and deconditioned, or suffer from poor circulation. Using Power Plate two to three times a week can lead to increased bone mineral density as well as fracture healing. A number of mechanisms are thought to contribute: as well as a possible influence from anabolic hormones, the fluid dynamics within the bone from the harmonic wave action, changes in hydrostatic pressures in the bone, and minute bending and distortion of the bone by activated muscles can promote bone-building activity. Adults and children who cannot (or will not) engage in high-impact exercises for whatever reason can benefit from using Power Plate to stimulate bone growth and bone healing. Body composition is a good indicator of your overall health. Obesity leads to all sorts of health consequences that go far beyond just what you look like. Power Plate training has been proven to reduce Fatty Liver disease – a consequence of being, well, fat. Power Plate is also widely proven to change body composition for the better, and increase metabolism (the rate at which you burn energy) by increasing your lean muscle mass. The increase in muscle activation caused by the vibrations also increases calorie burn. Power Plate training over a six-month period has been found to cause greater loss of visceral fat and has a longer-term effect. So, far reaching benefits can be gained that will do more for you than just cause heads to turn, without spending hours working out. Now this is where performance gains are made, for everyone. Elite athletes can benefit from the rapid firing rate of muscles by more muscles doing more things more often. This leads to increased muscle activation, better neuromuscular co-ordination, and better motor learning. Using Power Plate for a circulation boost before sport will also warm the muscles and improve hydration of the tissue by helping fluid to spread between the cells, and loosening adhesions. This means better performance with less risk of injury. Not an athlete? Nonsense. We are all athletes in the Game of Life, and all need to move each and every day. Even if walking the dog on the beach is your Match of the Day, you can benefit from preparing your body better to move and being stronger for your day-to-day activities. The level of stimulation Power Plate can cause is especially beneficial for those with neuromuscular degenerative impairments or conditions. The position and mechanoreceptors in the body (proprioceptors) are stimulated by the vibration and three-dimensional movement, leading to greater co-ordination and control, better balance, and reduced number of falls in those who are deconditioned or balance-compromised. We have seen truly remarkable outcomes among the elderly, stroke survivors, cerebral palsy sufferers, MS, amongst others. Hormones affect all the systems in the body in one way or another. Power Plate training can have a natural and anabolic effect on all cells in the body due to its potential to increase human growth hormone (the “youth” hormone), testosterone (not just for men), and serotonin (the “happiness” hormone). These have a positive on the growth and repair of soft tissues, muscles, and joints. Cortisol (the “stress” hormone) can also be lowered. As with everything these days, you will find trolls and unbelievers all over the internet. If you’re confused about who to believe, then rest assured – Power Plate is the only brand to have its manufacturing company certified as a Medical Device Manufacturer by the UK/EU certifying body. This means that the quality is medical grade, the benefits proven by independent scientific research, and, most importantly, for your peace of mind, the SAFETY of Power Plate is accepted – with not one reported incident of injury in all the years Power Plate has been available. Power Plate’s entire product line has Mayo Clinic NEAT™ certification. NEAT™ stands for Non-Exercise Activity Thermogenesis and focuses on the daily calories an individual burns while doing normal, non-exercise related activities. Power Plate usage results in an increase in calorie burn of more than 10% vs. baseline. Increasing NEAT™ in daily life can result in overall improvements in health, reduced obesity risk factors and weight loss. Power Plate is a fast and effective strength workout and I like it before a round of golf because it helps me be loose and flexible. Many things come and go in this industry but the Power Plate machine is here to stay. It is a fast and effective way to stay in shape. 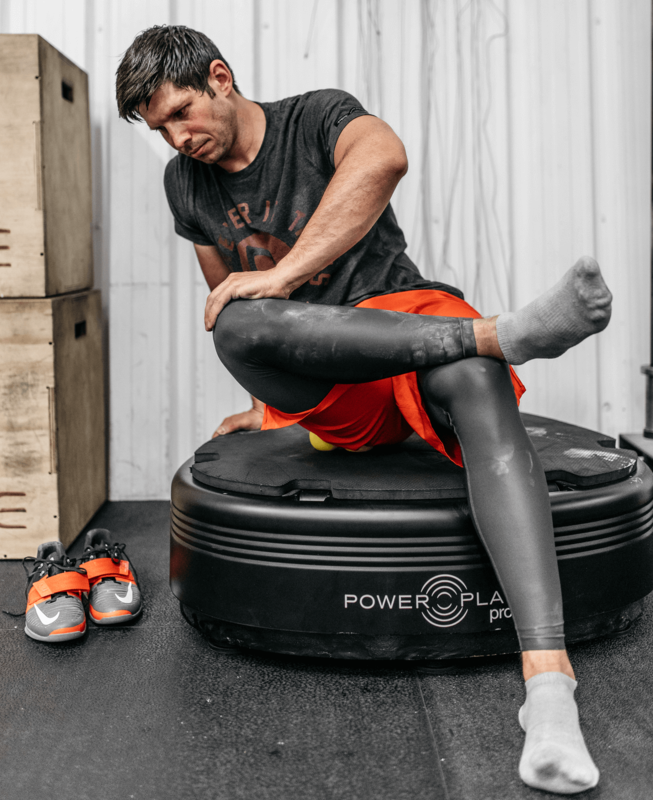 Power Plate is founded on scientific principles, validated through thousands of case studies, and versatile enough to help a diverse range of people with varying conditions achieve remarkable things.